A classic from Europe! 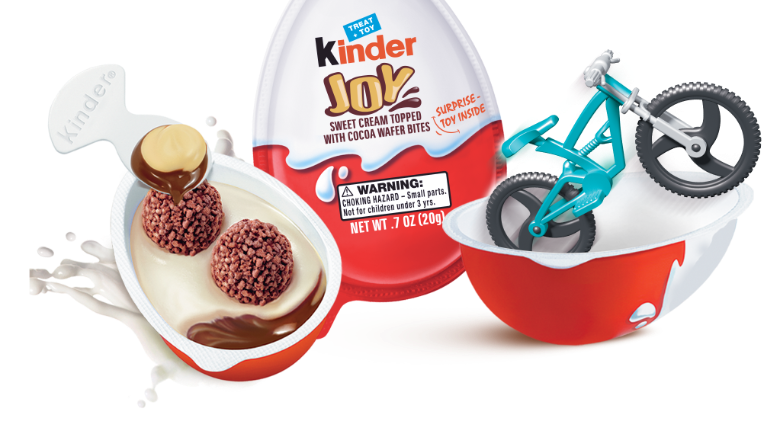 Kinder Joy is the only product that combines the tastiness of a milky cocoa cream with two crispy wafer-balls and many new & surprising toys. Yes, that's right, this product has a Toy inside it! Each toy is random and nobody knows what Toy you'll get inside. Kids love the experience and Parents love the price. Get it before it sells out! Price shown is for 1 Individual Egg. Discounts available for larger quantity Orders.